Dr. Al Sears' Pure Radiance products help slow down the aging of your skin - and may even reverse years of skin damage - without drugs, surgeries or injections. Al Sears, M.D., travels the world to uncover natural ways to nourish your skin, enhance your beauty, and help you stay younger longer. His journeys have taken him from the deep jungles of Brazil to the mountains of Peru and Jamaica. Dr Sears' products are designed to slow down and reverse the signs of aging - so you can feel beautiful... every single day of your life. Leave it to Dr. Sears to know what is best for your skin. For example, worsening skin tone affects almost all women as they age. Don't stand for it! Take a stance now to defeat the ravages of time. Even out your skin tone with Dr. Sears' natural astringents, toners, moisturizers and wrinkle reducers that can revitalize your aging skin! 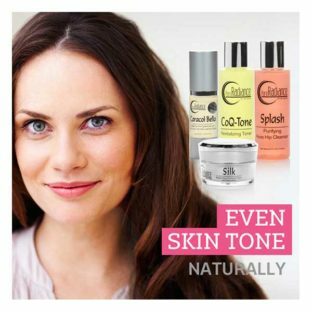 Start perfecting your skin tone today. Dr Sears has done it again! 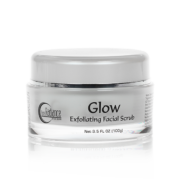 His "Glow" product gently wipes away toxins that can accumulate on your skin from the environment. Then it restores your natural protective layer of skin by energizing tired skin cells. As you massage Glow onto your skin, the tiny crystals gently break through the film and grime of toxic sludge and carry dead skin cells away. Go from dull skin to bright radiance in a matter of days. Discover your own natural and glowing beauty. Pamper your skin for luxurious, age-defying results The Ultimate Spa Package is designed to pamper, nourish and protect your skin. We love how Dr. Sears' four rejuvenating formulas delve even deeper — all the way down to the DNA level to fully nourish your skin from the inside out. Don't pay high prices at the spa. Just bring the spa to your house! Rejuvenate your cells overnight and reduce the appearance of lines, wrinkles and age spots with the new & improved DNA supporting power of this all natural night cream. Learn how to revive your DNA for a more youthful appearance. Quick and Easy Way to ReEnergize Your Skin. Reverse Years of Aging! Dr. Sears' new Regenesis GFSC is a new skin serum that unlocks 350 growth factors to revive younger-looking skin. Cutting-edge Human Growth Factors (HGFs) help trigger your skin’s collagen production naturally — giving your face a fresh, youthful appearance. Younger looking skin is only a click away. 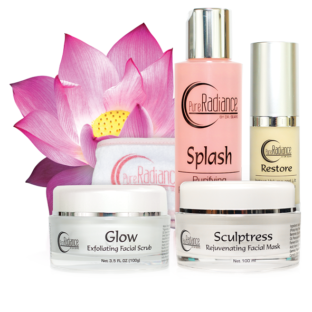 Use Dr. Sears’ Restore Moisture Regimen to bring a sparkle to your skin, leaving it hydrated, plumped and glowing. Skin will enjoy all the advantages that telomeres activators have to offer and also reap the benefits of potent antioxidants and hyaluronic acid.